The lips are an important part of your face; they influence the way you talk, eat, smile, not to mention that are very sensuous. With lip augmentation lips can be made bigger and sometimes lifted higher. If you wish for fuller, shapelier lips you may be a good candidate for lip augmentation implants. How is lip augmentation implant performed? Lip augmentation can be performed in the office under local anesthesia. Available implants for lip augmentation can be either in liquid form or sheet form. If sheets are used, small incisions will be made at the corners of your mouth, then threaded through your lips to provide smooth, even augmentation. The incisions are usually hidden inside your mouth. What can I expect after lip augmentation? You may return to your regular routine following lip augmentation, unless you were sedated. If you were sedated, you can resume regular activity the following day. Swelling and bruising may occur, which could last for up to one week. If you experience pain, Dr. Chan can provide an oral pain medication. Can I afford lip augmentation implants? Reviance Portland® Plastic Surgery works with a variety of insurance companies to make sure their patients’ needs are covered. Check with your insurance company to see what your plan covers for lip augmentation implants. Reviance Portland® Plastic Surgery also offers a variety of financing options. 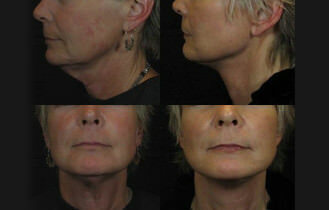 For more information about Reviance Portland® Plastic Surgery or to schedule a consultation call 503-953-1230.